Lately I feel like my craft projects have turned out a little less craftacular that I hoped. 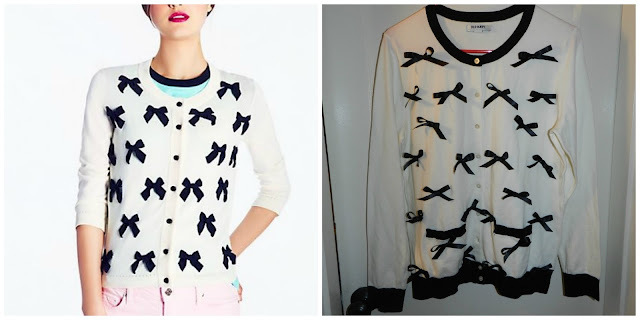 When I first saw THIS Kate Spade bow cardigan, I thought – I can make that. So I bought an Old Navy cardi and some ribbon and went to work. Unfortunately, it turned out a bit awful. Sew simple, right?! (pun intended). Final Verdict: I’m going to skip the purchase and given that I didn’t sew the bows, I think I’m going to take them off and just wear the cardi plain.